Where can I find the right employee? As an experienced Human Resource Consultant, I can find the right employee. I have sourced, recruited, interviewed and hired for many companies, large and small. I have also conducted numerous retained searches. There is no one method to find the right employees. Understanding the process and implementing essentials is key. Remember, timing is everything! How to define the type of candidates? How much should the candidate be paid? Do you have a salary/compensation plan with benchmarks? Do you understand the current labor market? Can you write a job description and/or job posting to attract the right employees? How much experience is required? Are you willing to train? Where will you begin to post the job? How much of a budget do you have for advertising? How should candidates apply and what should you do? Did you validate candidate’s information as accurate? What questions will you ask in the interview? Are they behavioral? 1) Types of candidates — Consider the following Full-Time, Part-Time, Independent Contractor, Temporary, Per Diem. When you want to hire a new employee, it is your responsibility to think about these factors. Ask yourself, what processes and resources are in place to make this happen? How long will you need this person to work for you? What kind of person will be the right fit for your business? Sometimes fit can be the most important factor of all. 2)Pay is always a big factor when hiring an employee. There are pros and cons to putting someone on your payroll. Consider factors like unemployment in your labor market, where do these quality candidates turn too, when they need work? Determining what to pay requires benchmarking the position against the labor market, the type of job, the amount of experience and what others in your organization are paid. 3) Labor market area includes the geographic area as wall as the condition which is currently taking place. For example, You are looking for a VP of Operation, but you have unrealistic goals to find the ideal candidate in the local area. Knowing where your candidates reside and what the rate of the unemployment rate is, in their labor market area really4) To figure out what is the right situation for your needs you should create a job description which is different from a job posting. Once you have decided on the essential duties of the job, you must consider the working conditions, the education requirements, the attribute the candidate must bring to your organization. How will this candidate impact your organization? Will they use any expensive equipment or be responsible for managing money or employees?How will you know who will be the right fit? Benchmarking your ideal employee and determining why they are ideal will help you to make the right decision. There are tools available to aid you in this process. 5) Does your search for finding the right employees include training? Will this training be formal from a college or university requiring a degree? Are you able to train the employee on-the-job? Will you incur added expenses for training? 6)Are you familiar with job sites such as Indeed, Monster, Glass Door, Simply Hired, LinkedIn and more? Will you be using social media to find the right employee? Do you have a dedicated website posting? 7) Whether you have a large advertising budget or none at all, you need to find the right employees. Ads cost a lot of money and vary from site to site. No longer can you put an add in the newspaper and expect the right employee to walk through your door. Set realistic expectations and be prepared to spend $ to find the right employee. 8) Your candidate may apply online through a job site portal or directly to a dedicated email or call you or just walk-in. It is important to make a decision how you want the right employee to find you. When they do, give them direction on how to apply. Perhaps requesting a cover letter with additional information, or setting up prescreening questions online can help. 9)When I talk about validating an employees information I am suggesting that all candidates are not created equal. Often they fabricate a job title, change an end date or list a degree which they cannot prove. I highly recommend you look for variables between the resume and the job application. Don’t be afraid to ask for proof! If the candidate is right for you, they will jump through hoops to accommodate you. 10) Finally, I suggest you ask the same questions of all candidate for each particular job. This way you can easily evaluate apples to apples. If you ask a variety of questions, you may be evaluating apples to oranges. Determine your questions ahead of time and record responses. Compare notes with other interviewers. Ask questions which are behavioral. For a list of behavioral questions, please contact me. Recruiting should be an accurate process. Remember the laws and do not ask anything that relates to a personal nature. In conclusion, don’t be afraid to ask for help! You may run a million dollar business or just ready to hire your first employee. Admit you don’t know all the laws by heart, or all the right questions to ask. Perhaps you are not a marketing guru. Using a resource to help find the right employee is never a mistake. Let me hear from you. What stumps you when trying to hire the right employee? Thanks for pointing out that it is the responsibility of the employer to think of the different types of employees and decide what category would be the best fit for their company. I feel like if the business still isn’t sure what they’re looking for when they begin interviewing they are not being very fair to potential employees. 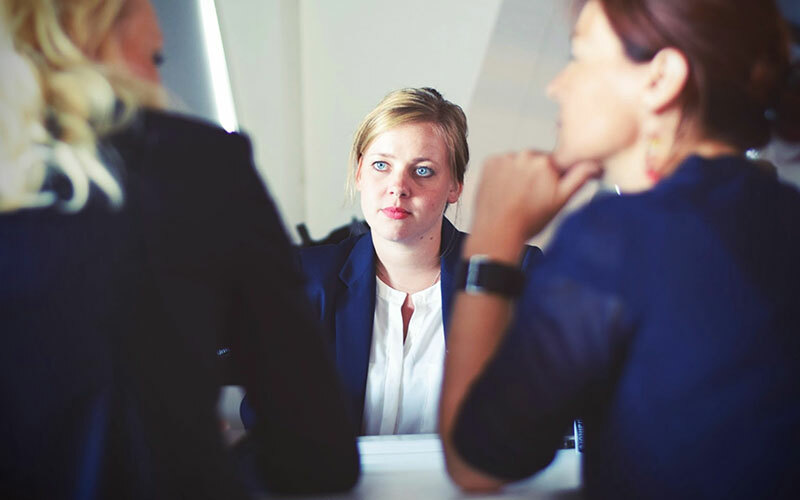 It would make sense to me for business owners to hire a consultant on the legal aspects of hiring new employees to make sure they are prepared for anything. I really like that you touched on some of the different types of potential candidates. It makes sense that hiring a full-time employee will require a lot more consideration and planning than only hiring a part-timer. This is something for any size of business to keep in mind because it could cause problems to approach hiring a full-time employee as you would a part-time or temporary one. I wanted to thank you for the information that you have gathered and listed here on finding the right employee. My wife has been thinking about being an HR representative and wants to go to school to learn more about how to be effective in the workplace. With that being said, I think that if she were to graduate and look for a job, a lot of these things would be really beneficial to her since she will be doing a lot of the future hiring. Like you explained, you should think about how the individual you are hiring can benefit your company and then move from there. Thanks again! Request your free guide on when to update your employee handbook. JazzHR is a powerful, easy to use and affordable recruiting software that can help you improve and customize your entire hiring process. © 2019 Dube Consulting. All rights reserved.